In this third part of the “Art and Science of Book Promotion” series, Publish Wholesale CEO Jon Fitch talks about the realistic financial returns independent authors can expect from book promotions, even as he provides a step-by-step guide on how to make self-publishing a viable income source. Fitch cautions against losing heart because of small revenues at the beginning: “The first year is about building your audience,” he said, while highlighting the importance of using sales in the first two years to increase the level of promotion. Continuing its in-depth look at self-publishing marketing, Publish Wholesale releases the third part in the “Art and Science of Book Promotion” series by CEO Jon Fitch, a how-to step-by-step guide based on his three decades of running small businesses and his 15 years at the forefront of the self-publishing industry. The first two articles in the series focused on the importance of capitalization and delegation in growing and managing a book promotion business for one’s own books. This third article focuses on the ins and outs of both the management of, and the expectations of, financial return on investment of time and capital put into promoting one’s own books. The article presents ideas on how to make it to the 10% of self-published authors who make an independent living off royalties. Fitch is the CEO and founder of Publish Wholesale, a publishing services firm that helps independent authors launch and promote their books, as well as the founder of Accurance, a book production and promotion firm that has prepared more than 70,000 titles for publishers and was one of the founding half dozen firms that accounted for the explosion of self-publishing industry in the last 16 years. Having run a self-publishing firm since 1999 both as a contractor to major U.S. publishing houses and as an independent publishing firm, Fitch shares his experience and insights about the expectations of returns that self-published authors go through, what to expect, and how to manage it. His insights and tips are valuable to any self-published author who wants to have a road map for creating a book self-promotional business that ultimately is a viable source of income and lifestyle choice. Fitch touches on the most common predicament self-published authors face: sales will not pick up immediately in the first year. He cautions against losing heart because of small revenues at the beginning. “The first year is about building your audience,” he said. He also highlights the importance of using sales in the first two years to increase the level of promotion. The article is the third of six in a series that gives self-published authors a clear roadmap for book promotion, sorely lacking for many authors who have never started or run a small business before. Fitch reiterates that book promotion is more than just writing blogs, articles, social media posts, and press releases. “[These] comprise only 20% of the entire process.” Authors, he said, need to understand the whole book marketing strategy for a successful promotion. 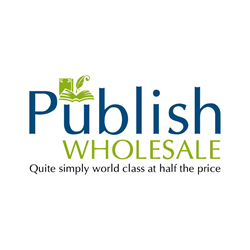 The third part of “Self-Publishing 101: The Art and Science of Book Promotion” series is now available on Publish Wholesale. Jon Fitch has over 15 years of experience in the self-publishing industry, notably as the founder of Accurance, a book production and promotion firm with over 70,000 titles to its credit, and as the CEO and founder of Publish Wholesale, which provides self-publishing services for authors. He is one of the pioneering thought leaders in the self-publishing business.